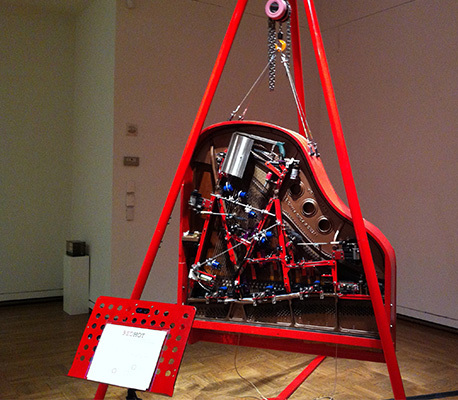 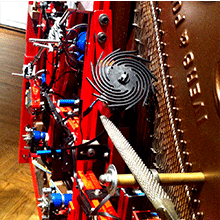 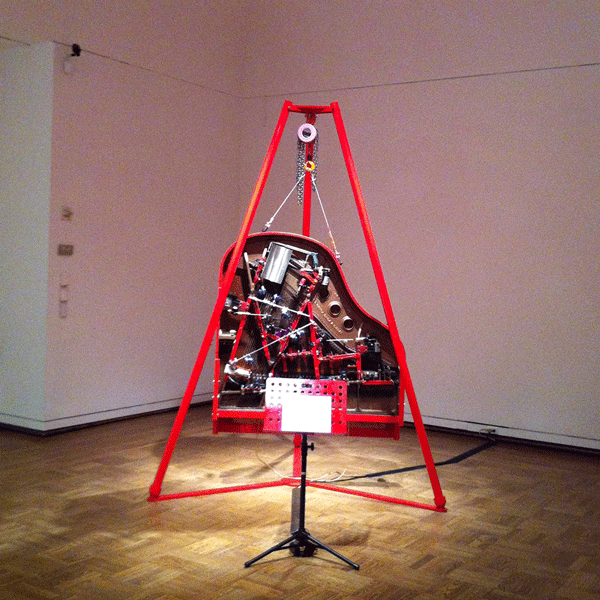 REDHOT is a deconstructed robotic piano by kinetic artist Trimpin. 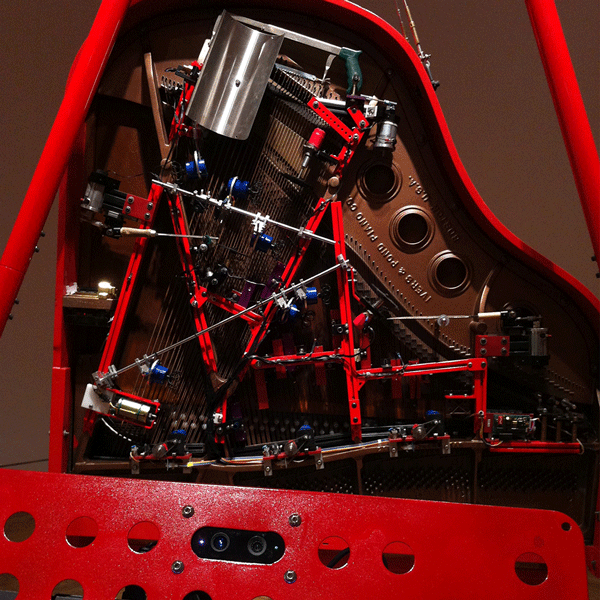 Suspended three feet in the air by a custom aluminum frame, the piano plays a variety of re-imagined Beethoven pieces and original works. 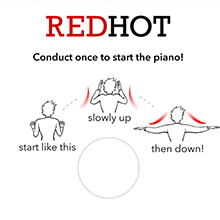 REDHOT was originally commissioned by the Philharmonic Society of Orange County and has traveled wide, winning an award at the Portland Art Museum, and later showcased as a centerpiece of the REBOOT:music exhibition at the San Jose Tech Museum of Innovation. 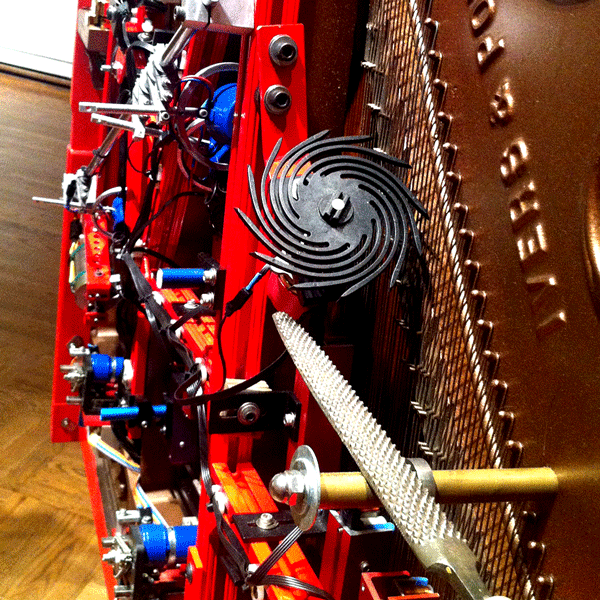 Trimpin and I collaborated on this project by imagining playful interactions that participants could have with the work. REDHOT was accompanied by a music stand with an embedded depth camera. 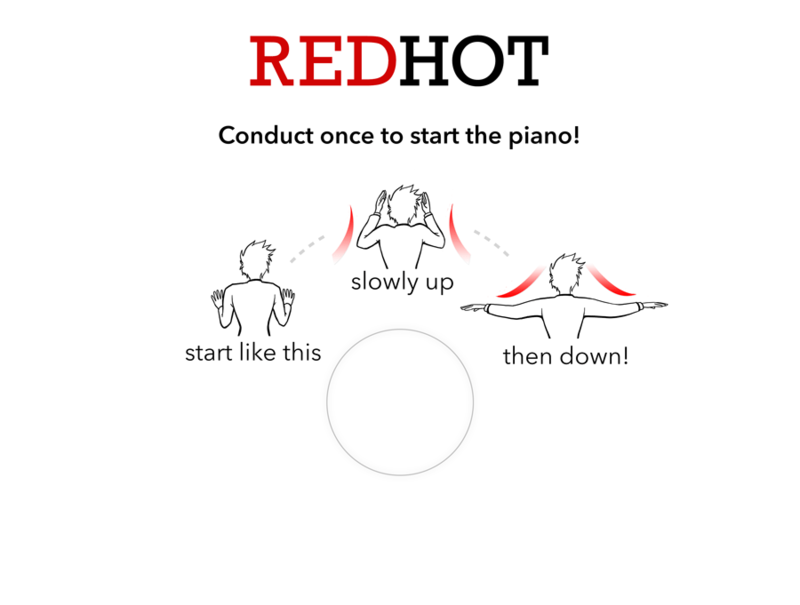 Users in front of the stand could activate the work by performing a downbeat gesture in the style of an orchestral conductor, and subsequently awarded with a one or two minute performance for their artistic effort.